LocalMole Business Profile Rolfe East is now in its twenty seventh year, having officially opened its doors for business on 10th October 1983, at 51 The Mall, Ealing, W5. Since then, the Rolfe East Group has expanded its branch network steadily. About Us The group's combined resources, with its ever-increasing database of potential purchasers and tenants, coupled with its many years of experience and knowledge, enables Rolfe East to achieve the best possible prices for its clients, in the shortest possible time and involving the minimum of stress. The range of services offered by Rolfe East has evolved from its early beginnings of straightforward property sales to include lettings, property management, financial services, mortgage brokerage, new homes, property investment, buy to let, let to buy and more recently, commercial sales and lettings. In order to offer clients the very best service levels in line with its 'client first and foremost' philosophy, Rolfe East has invested a considerable amount of resource into creating separate, dedicated teams of specialists who focus on one key service. About Us Rolfe East is now in its twenty eighth year, having officially opened its doors for business on 10th October 1983, at 51 The Mall, Ealing, W5. Since then, the Rolfe East Group has expanded its branch network steadily, with a geographic coverage that today extends across the length and breadth of West London. The group's combined resources, with its ever-increasing database of potential purchasers and tenants, coupled with its many years of experience and knowledge, enables Rolfe East to achieve the best possible prices for its clients, in the shortest possible time and involving the minimum of stress. 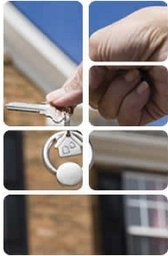 The range of services offered by Rolfe East has evolved from its early beginnings of straightforward property sales to include lettings, property management, financial services, mortgage brokerage, new homes, property investment, buy to let, let to buy and more recently, commercial sales and lettings. Our Commitment To You In order to offer clients the very best service levels in line with its 'client first and foremost' philosophy, Rolfe East has invested a considerable amount of resource into creating separate, dedicated teams of specialists who focus on one key service. Hence the recently formed commercial department consists of fully trained experts in that area of the property business, guaranteeing its clients complete peace of mind. Rolfe East's success is a matter of pride for all staff, at whatever level. The whole team believes in providing a personal, friendly service that is second to none. A service that, in the words of many of its clients, is 'professional, warm and effective' at all times. Property Management Rolfe East's dedicated Property Management team has been managing let properties for over twenty years. Not surprisingly, this vast amount of knowledge and experience has resulted in a property management service that is second to none. If you are a landlord wishing to relinquish the responsibility for the day-to-day management of your property, choosing Rolfe East's team of dedicated and experienced management professionals will give you absolute peace of mind and freedom to get on with your everyday life. It will give you reassurance that you will no longer have to worry about viewings, advertising, inventories, collection of rent, organising repairs, legal agreements and regulations. We use a reliable network of contractors to carry out necessary work on your property on your behalf and we take full responsibility for organising any relevant gas safety checks. We have an excellent partnership with a team of financial and legal professionals who take care of all taxation and legislative issues. In addition, we employ the services of a professional inventory management team and we utilise a fully computerised accounts package. All of these things ensure that the service we provide our clients is of the highest calibre. We are an elected member of the Tenancy Deposit Scheme and therefore automatically hold deposits for properties that we manage, adhering to the scheme's strict codes of practice. In addition, we offer this deposit-holding service to landlords of non-managed tenancies, saving them the time, trouble and the personal expense of joining a scheme themselves. If you require the warm, professional and effective service offered by Rolfe East's Property Management team, call Andy Wakefield on 0208 840 7707 for further information.